Coinciding with the latest edition of the Salone del Mobile taking place in Milan this week, Tod's is introducing their new collaboration with Japanese design studio Nendo. The result of this über-cool collaboration is The Envelope Boat Shoe, a new take on the modern classic perfectly in time for the SS14 season. The new style has been created using two different materials – a soft leather for the vamp with suede for the quarter and backstay. Both elements are brought together with a visible side tie string, which doubles up as the subtle yet distinctive detail adding character to the shoes. 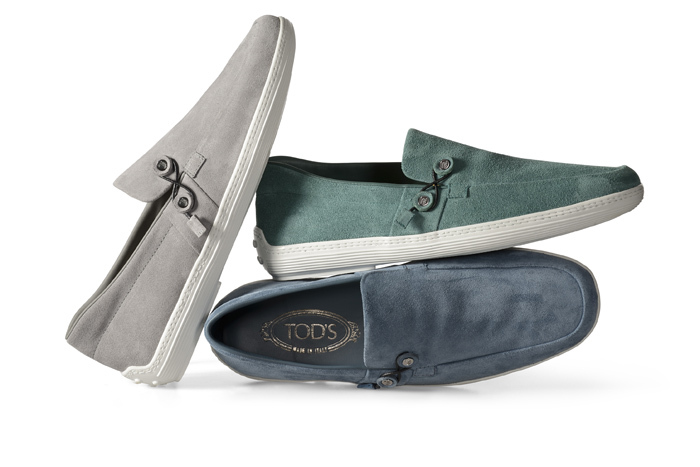 Just like with everything Tod's does, the shoes are practical – made water-resistant, anti-rust and anti-slide for major regattas – but also an everyday essential perfect for a man's laid-back weekend. The new model comes in powder blue, green and grey suede as well as in black, brown and putti leather, all of which are (evidently) handmade in Italy following Tod's unique treatments of the skins. 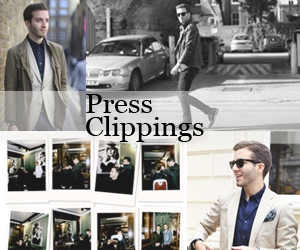 Keep an eye our for them at your nearest Tod's flagship store. I can't wait to get my hands of a pair of suede ones!